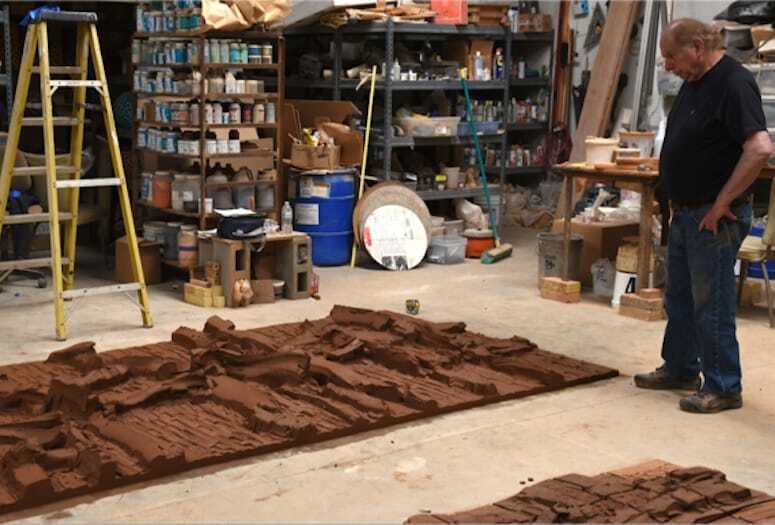 A documentary on the acclaimed California ceramics master will screen during Modernism Week. Stan Bitters eyes a project for a Rancho Mirage residence in 2018. “Modern Primitive”, a documentary short film by Minx Films about acclaimed sculptor Stan Bitters, will screen Feb. 16 at The Shops at Thirteen Forty Five in Palm Springs during Modernism Week 2019. The artist will be in attendance, and a number of pieces of his work will be on display. Stan Bitters’ career as California’s pioneer of environmental ceramics has spanned more than six decades. He studied art at Otis Art Institute in Los Angeles. 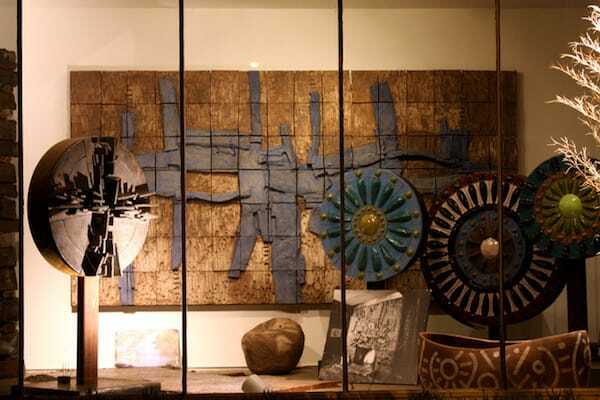 At that time the Otis ceramics department was under the direction of deconstructionist ceramist Peter Voulkos. Bitters then attended UCLA, graduating in 1959 with a degree in painting. After graduation, he became artist-in-residence at the Hans Sumpf Co. in Madera, where he was given complete creative freedom. It was during this time that some of his most iconic pieces were created. 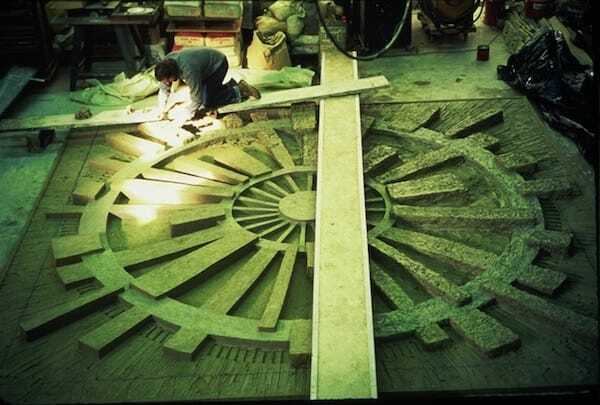 His work was also included in the famed Pasadena Art Museum’s California Design exhibits Eight (1962), Nine (1965), and Ten (1968). He struck out on his own in 1965, and in 1976 he authored his cult favorite book Environmental Ceramics about his artistic process. Bitters’ influence has been present in the language of California architecture since the 1960s and his large scale ceramic works can be seen in public spaces including the Ace Hotel & Swim Club in Palm Springs, banks, churches, industrial complexes, and shopping centers as well as private residences. His most recent commissions in Los Angeles can be seen at the Westfield Century City Mall. Ten10 has represented Bitters since 2003, during which time they have completed 50 public and private installations, working with art collectors and top interior designers. In Garden Design magazine, Bitters said of his work, “I saw ceramics as a centerpiece — indoors or outdoors — something that lasts forever with texture and color that engages you visually and physically, a presence that can be felt and touched. Stan Bitters’ work can be seen at the Ace Hotel & Swim Club in Palm Springs. There are seven murals over exterior fireplaces throughout the property. “Modern Primitive”, documentary short film plus meet-and-greet with sculptor Stan Bitters, 4-7 p.m. Feb. 16 at The Shops at Thirteen Forty Five, 1345 N. Palm Canyon Drive. 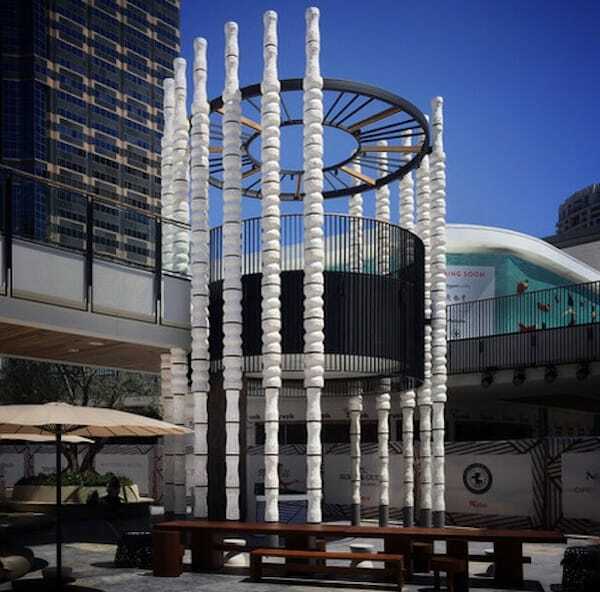 Stan Bitters installation “White Water” in 2017 at the Westfield Century City Mall in Los Angeles. (Mall re-design by Kelly Wearstler. Photo by Daniel Chavkin). Stan Bitters installation at Ten10 in their former Silverlake gallery. 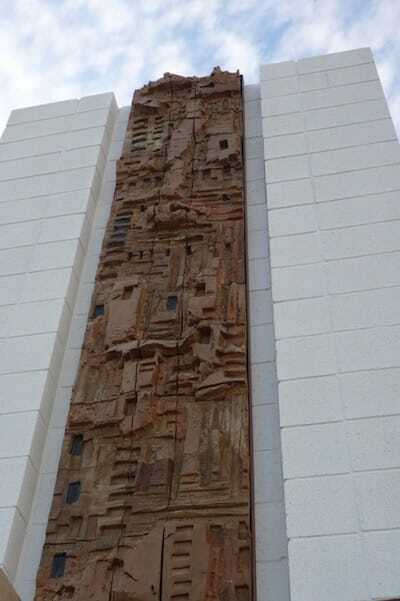 Ceramic murals, medallions, and other sculptures. (Photo by Ten10). Stan Bitters working on a mural for an Arizona middle school in the 1970s. (Photo courtesy Stan Bitters). 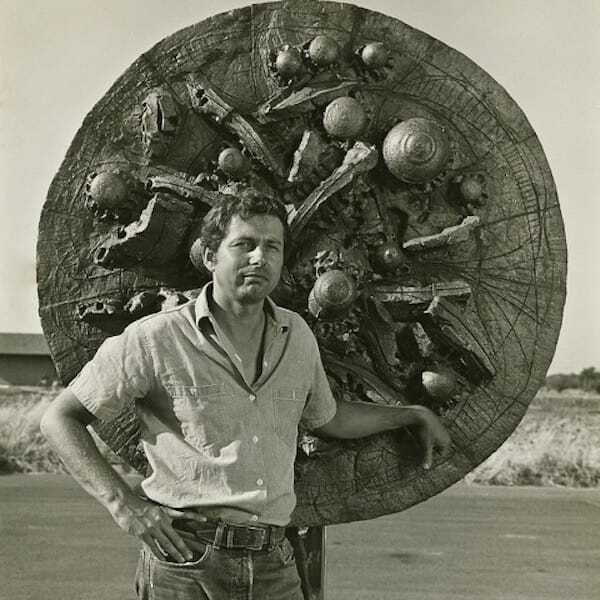 Stan Bitters in front of one of his sculptures in the 1960s. (Photo courtesy Stan Bitters).